Heat olive oil in a skillet. 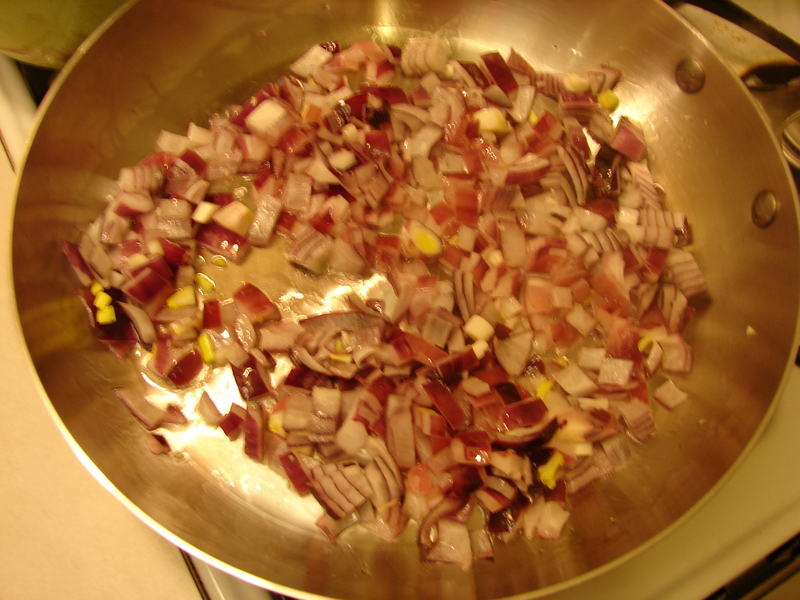 Add red onion and garlic. 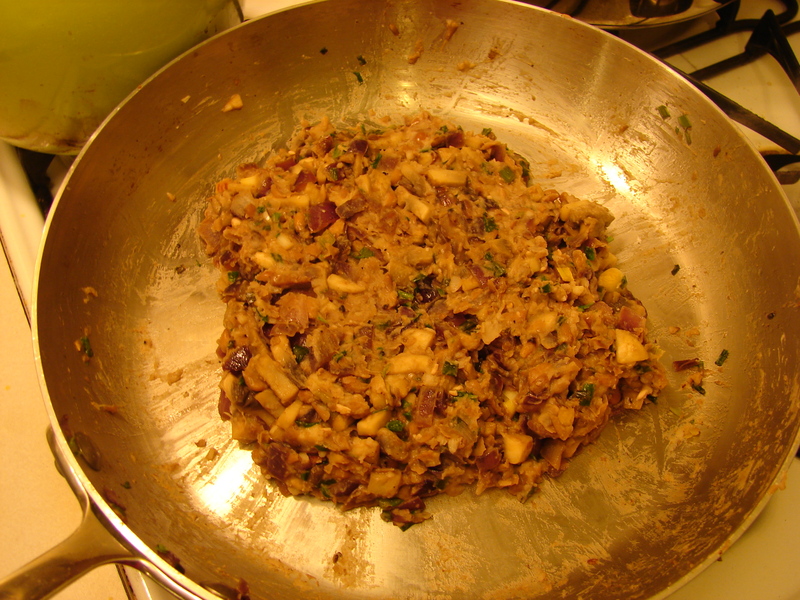 Cook until softened, about three minutes. 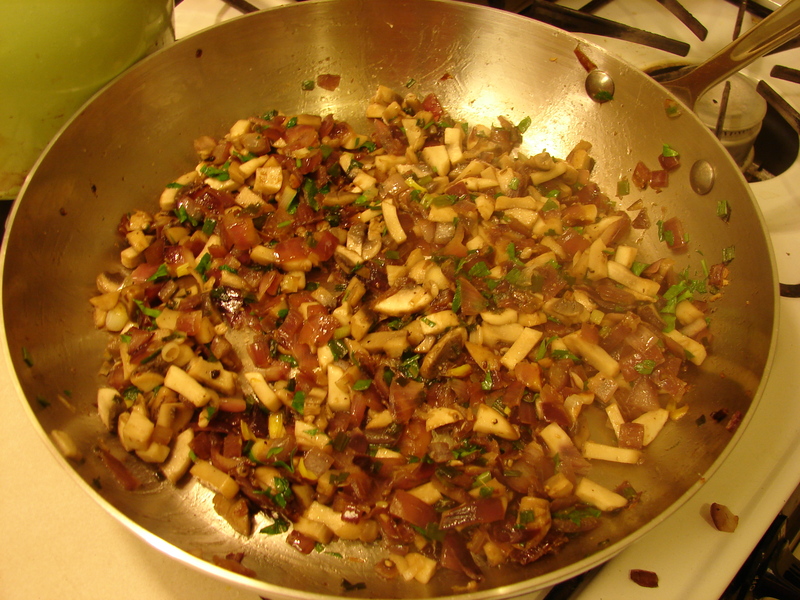 Add green onions, mushrooms, cumin, salt and pepper. 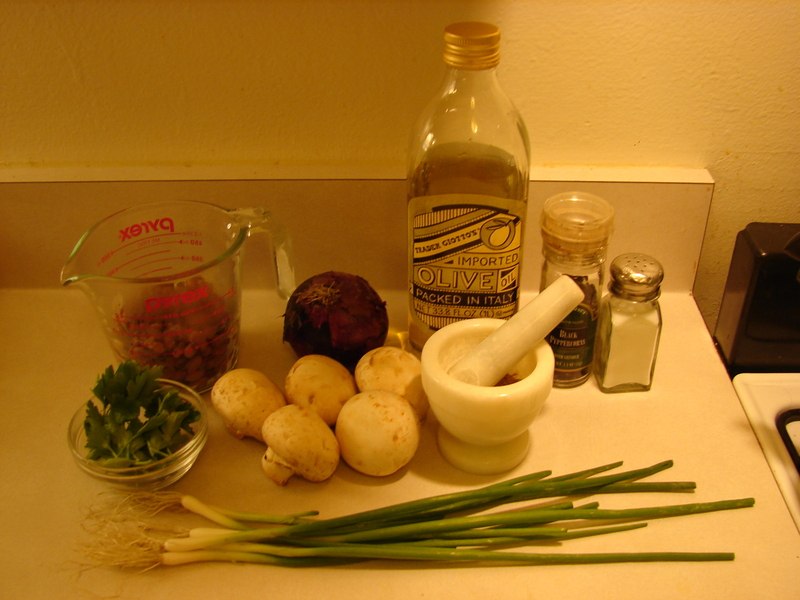 Cook for about eight more minutes, or until mushrooms are well cooked. Remove pan from heat. 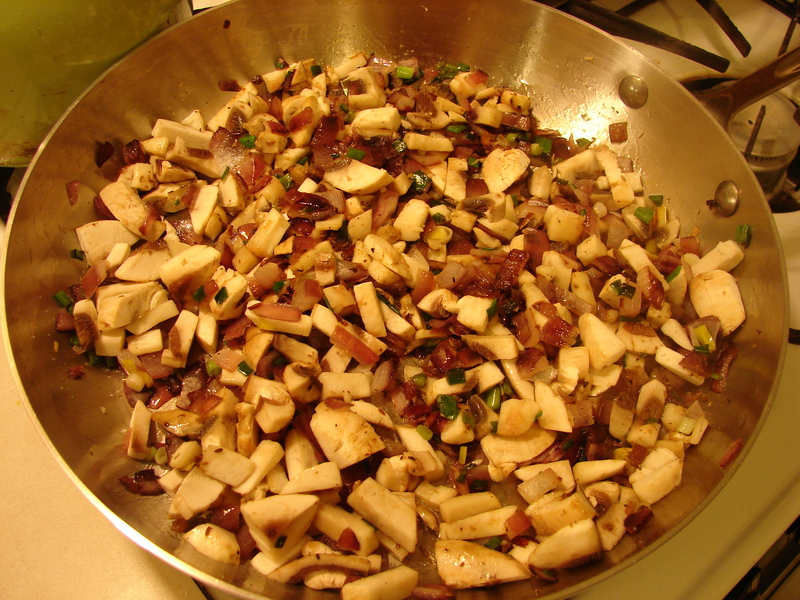 Mash beans with a fork and add them to skillet. Mix well. At this point, I transferred the mixture to a bowl. This isn’t really necessary though. 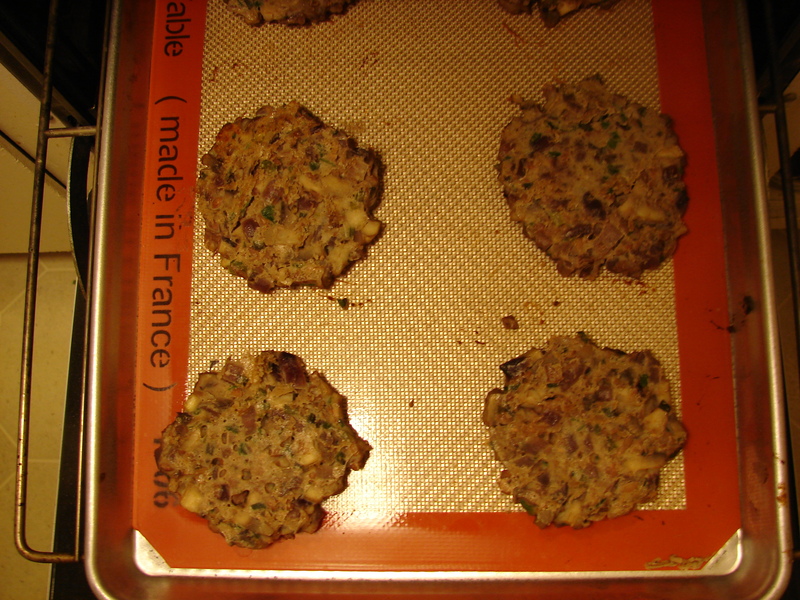 Unfortunately, when I tried to form patties the mixture wouldn’t really stick together. So I added an egg to make it bind. Unfortunately, this demoted the recipe from vegan status. But its still vegetarian, and that was my original goal. 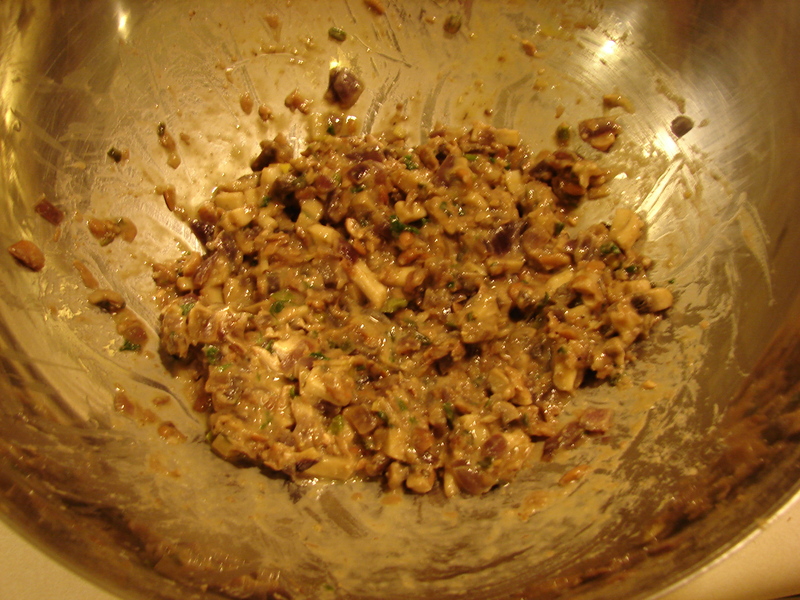 Form the mixture into six balls (its kinda like goop) and flatten them on a baking sheet. Once again, I am going to tell you that I use Silpats for baking. 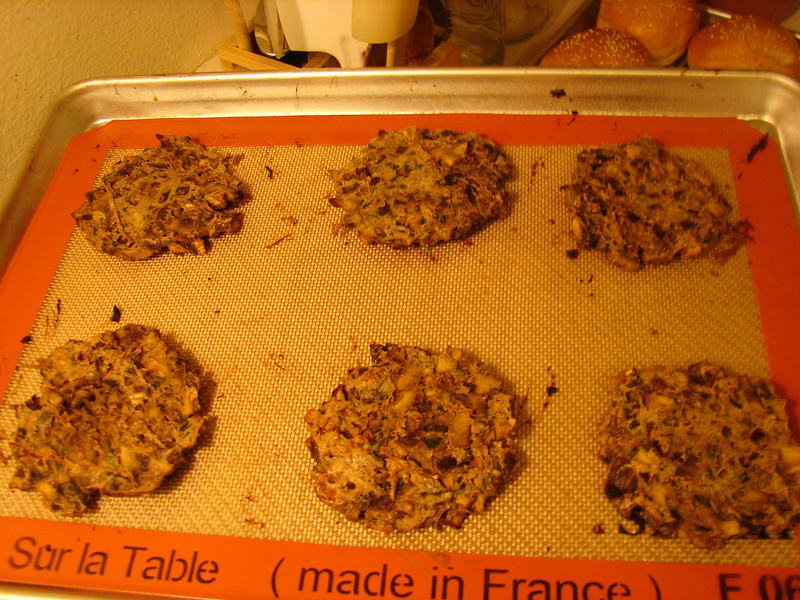 And once again, I am going to tell you that Sipats are non-stick silicone baking sheets. Oops. It looks like I forgot to take a picture again. But hey, I already said that being a professional photographer is not my destiny. Bake at 350 degrees for 15 minutes, then flip. Bake for 15 more minutes. Mine looked like this when they were finished. Next, have a burger bar with homemade burger buns. The only plastic in my burger bar is the mustard, which is really old. The mayonnaise jar has a plastic lid too, but I’m reusing it when it runs out. The other toppings (plastic-free) are ketchup in a glass bottle, pickles from a glass jar with a metal lid, lettuce, locally grown greenhouse tomatoes and cheese that was wrapped in paper. 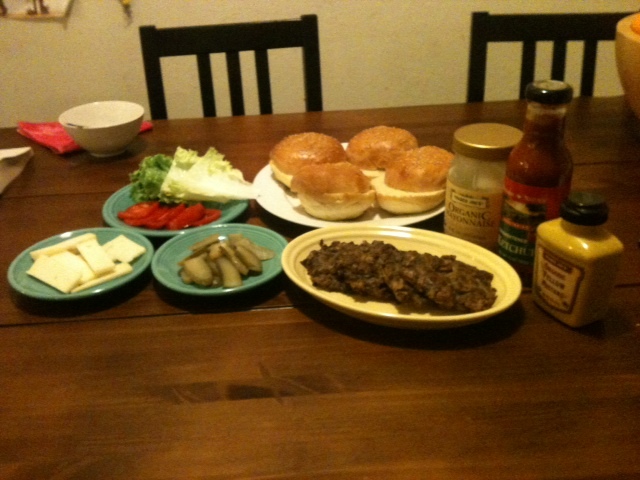 My burger bar was highly successful. Enjoy! Do you really cook them at 250 degrees, or is that possibly a typo? Oh wow! Thanks for noticing! The temperature should be 350 degrees. I’ve changed it in the recipe.